HowStuffWorks "How the Tweel Airless Tire Works"
The Tweel Airless Tire is Michelin\’s alternative to the pneumatic tire. 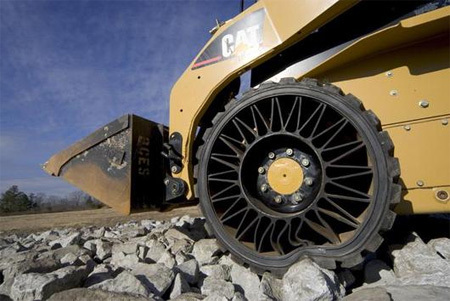 Learn how the Tweel Airless Tire works and about Tweel advantages and problems. Michelin has also found that it can tune Tweel performances independently of each other, which is a significant change from conventional tires. 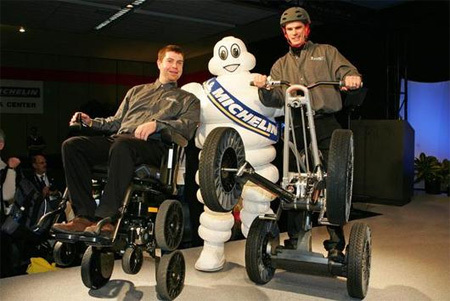 As the world’s leading tire manufacturer, Michelin brings better mobility solutions to millions of customers around the globe. Airless Tires, New from Michelin, labeled the "Tweel"
and check the brakes, drive shaft, U-joints and steering components. This is a very cool tire. I would love to have this as my tire for one of my cars. Tyres certainly fall in the category of parts that need to be replaced and maintained regularly. This is important to note because many people overlook their tyres in order to concentrate on other parts of the car, such as the engine. And for those with particularly cheap car tyres, this can be dangerous.